If you have a Medicare Advantage plan through Aetna, you may be overlooking some important dental, hearing, and vision benefits. As your agents, we are happy to discuss your coverage in greater detail, but here is a general breakdown of what may be available to you. 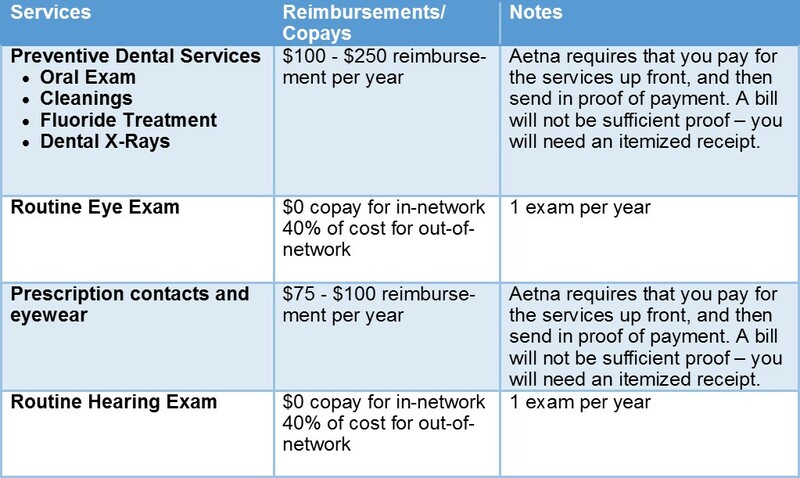 Your reimbursement amounts may vary depending on which Aetna Medicare Advantage plan you have. We recommend looking at your Aetna Summary of Benefits for details about your specific policy. If you have any questions about your reimbursement or how to file a claim, please feel free to contact your agent.